Welch's has teamed up with Feeding America to help fight childhood hunger. Did you know that in the United States, 1 in 5 children face hunger? Which means that with the new school season starting up, there are kids in the classroom who may not have the energy to focus, engage, learn, and grow. Without proper nutrition, children face long-term effects, such as grade repetition and developmental impairments. 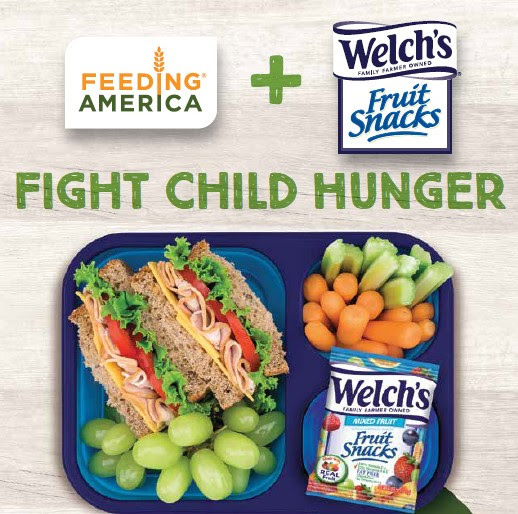 Feeding America is the nations largest hunger relief and food rescue organization and from now until October 2016, you can help fight childhood hunger when you purchase Welch's Fruit Snacks and help them reach their goal of providing 1.6 million meals to children in need. 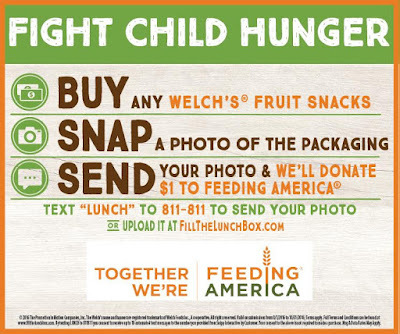 When you buy Welch's Frit Snacks and submit proof of purchase, Welch's will donate an addition $1.00 (11 meals) to Feeding America. 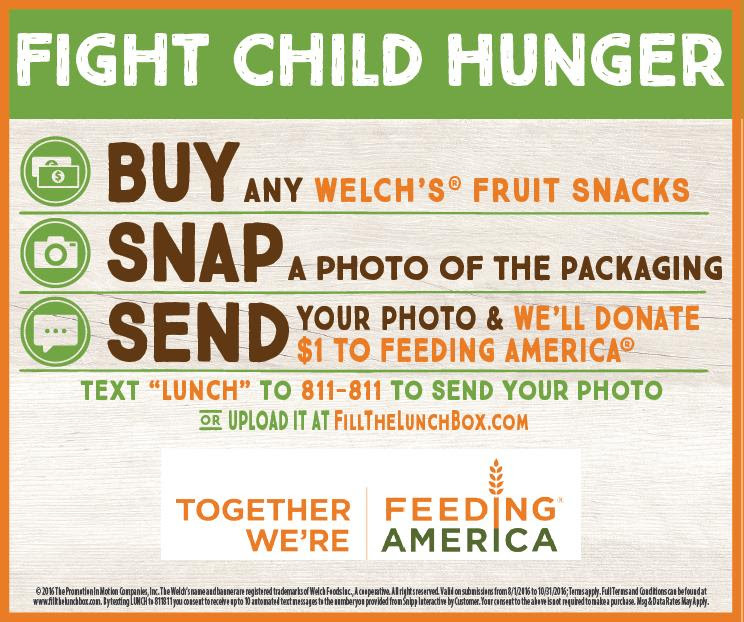 *For each photo received, Welch's® Fruit Snacks will donate $1.00 to Feeding America®. By filling your child's lunchbox with Welch's this school year, you will be a part of a bigger picture and help provide lunches to hungry children all over. In addition, Welch's is offering my readers a chance to win some Welch's Fruit Snacks to get you started. One reader will win 3 boxes of Welch's Fruit Snacks to fill your lunchbox.